Create a brand alliance for Target. In 2012, Target created a new sub-brand, City Target. City Target, as you can guess, has been popping up in several metropolitan areas (LA, San Francisco). These stores are scaled down in size to fit the urban consumer, and offer unique products specially designed for that city. City Target aims to be the one-stop-shop for urbanities, however, its association with the suburban-esque superstore and it's lack of understanding about consumer behavior has stunted City Target’s success. Target is expanding its stores to reach a diverse audience with its sub-brand, City Target, but lacks credibility among city dwellers. Find a brand that supports City Target's values of price, design and functionality. Brand Immersion: analyzed current Target culture and product offerings, researched various brand alliances, conducted competitive analysis. Market Analysis: compared competitor brand values and researched competitors’ brand alliances. Consumer Analysis: created and analyzed shopper survey, observed consumer shopping experiences, reviewed news articles, blogs, consumer comments about City Target. Establish Black and Blum as City Target’s newest partnership. 1. 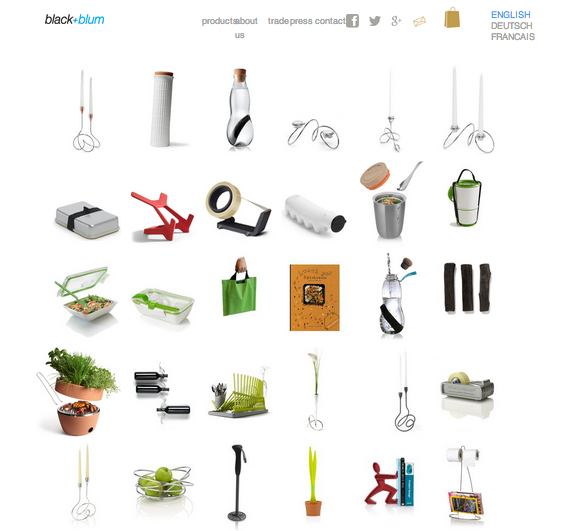 Black and Blum is a small retailer in the UK, and has warehouses in the US. It would benefit by utilizing Target’s distribution tactics. 2. City Target is disconnected with urbanities, and would benefit from a brand that values unique designs with multi-functionality. 3. Interior design is one of Target’s highest-grossing products, and a new line will launch the Black and Blum brand in the US, diversify City Target’s offerings and relate to the city consumer.